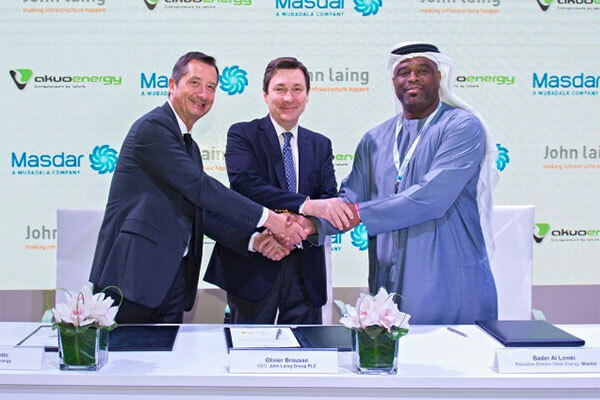 The Abu Dhabi Future Energy Company (Masdar) has announced the execution of a share purchase agreement (SPA) to acquire John Laing Group plc’s interest in two wind farms in the US, a media report said. This marks the first time the Abu Dhabi-based company has invested in renewable energy projects in North America, reported Emirates news agency Wam. Mohamed Jameel Al Ramahi, chief executive officer of Masdar, said, "Extending our reach into the United States is a defining moment for Masdar’s clean energy operations and a further step forward in our efforts to expand the company’s global renewable energy portfolio, which now encompasses more than 25 countries." "The United States provides excellent commercial potential in the long-term, with a record 6.3 per cent of the country’s electricity generated from wind in 2017. We aim to increase our investments in the US in the next few years as we continue to strengthen our current partnerships and explore new business opportunities." Olivier Brousse, John Laing's chief executive officer, commented, "We are pleased to have partnered with Akuo on Rocksprings and Sterling wind projects. This investment realisation with Masdar will release capital to recycle into new greenfield opportunities in the US and internationally where we remain committed to our strategy investing in renewable energy and other infrastructure." Eric Scotto, CEO and co-founder of Akuo Energy, said, "After partnering with Masdar in Montenegro, we are thrilled to team up once again and in particular in the US which is a key market for our development activities. This new partnership illustrates the strength of the relationship between Masdar and Akuo across diverse geographies."